The Keewaydin Environmental Education Center (KEEC) offers hands-on, experiential learning in a variety of natural habitats, all within only a few miles of our campus in Salisbury, Vermont. Our educational values are rooted in the concept of community and we strive to empower students with a better understanding of how their personal daily decisions can affect the environment. Drawing from the natural world in which we live and study, we incorporate history, science, math, language arts, geology, and physical education into a series of investigations that integrate with school curricula. Why Leave Your School Building for an Education? To provide students with different styles of teaching and appealing to multiple intelligences. To allow teachers to observe students learning and thriving in ways not always apparent in the classroom. To enhance group dynamics within a class. To provide an experience that broadens students’ perspectives. To help students build a relationship with the natural world without modern distractions. Still Not Convinced? Writer and professor David Sobel writes about learning beyond the classroom. Our educational values are rooted in the concept of community, drawing from the natural world in which we live and study. We offer hands-on, experiential learning through a variety of teaching styles in a variety of natural habitats that serve as our outdoor classroom. Our goal for students is to gain a better understanding of their role in communities, both human and non-human. Students will do this through a discovery approach using all five senses and exploring with mind and body. It is our belief that with a better understanding of the natural world, students will begin to make personal and daily decisions according to those practices that will benefit all communities, not just the human community. We accomplish these objectives through a multi-disciplinary approach to teaching by addressing a variety of learning styles. We strive to emphasize concepts taught in the school classroom and expand upon students’ ability to explore these ideas. The Keewaydin Environmental Education Center (KEEC) was founded in the fall of 1973 by Abbott Fenn and Alfred “Waboos” Hare, then co-owners and directors of Keewaydin Camps. Both retired schoolteachers, KEEC was inspired by a combination of their strong interest in education and their love of the outdoors, as well as their desire to use the summer camp property for more than two months of the year. The curriculum was based initially on an environmental education workshop developed by the US Forest Service. By the mid-1980’s, educator, Barry Schultz King, and naturalist, Warren King , expanded the program curriculum and helped develop long lasting relationships with many different schools around Vermont. Together, Barry and Warren led KEEC until 1996. In 2005, Tim Tadlock took over as Director and has steadily guided the program ever since. Vermont and New England schools, such as Chester-Andover, have been attending since 1973. Here you will find all of the information you to aid in planning your school’s KEEC trip. If you haven’t already, and would like to schedule a trip or have any questions about the information below, please contact Tim Tadlock, Director of KEEC at [email protected]. To print or download the files below, select the name of the form you want to open. After it downloads please feel free to print and make copies for distribution to parents and chaperones. Is this your first trip to KEEC? – read this form first! Google Map Directions to KEEC – NOTE! Our physical address differs from our mailing address. Please provide these directions to your drivers. Tim Tadlock, Director of Keewaydin Environmental Education Center, [email protected]. Tim has been the Director of the Keewaydin Environmental Education Center since 2005, after joining the KEEC staff in 2000. As a graduate of Prescott College in Arizona, Tim’s studies emphasized community building in experiential education settings. Tim has been a member of the Keewaydin community since 1997 when he joined the summer staff at Keewaydin Dunmore. During the summer he remains very involved in the camp, serving as the Keewaydin Dunmore Head of Tripping. KEEC staff are college graduates from all over the United States. Some instructors come with a strong background in environmental sciences or related fields, while others have a wealth of experience working with children. Together we form a unique community whose strength is reflected in the success of the program. The KEEC instructor’s role is to guide the process of thought discovery and to foster enthusiasm for the learning process. Throughout the week our energetic staff helps to develop community in all aspects of the program; from cabin life to job duties. 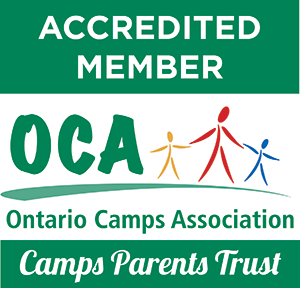 All of our staff hold current certifications in First Aid and CPR. If you are interested in becoming an instructor, please email Tim. An insider's look at a week of learning and community building at KEEC.